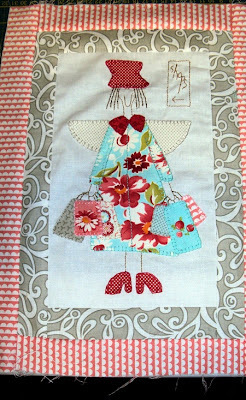 I completed my next block in 'An Angel Story' quilt last night, called 'Charlotte the Shopper'. That's my February commitments on this quilt up to date. 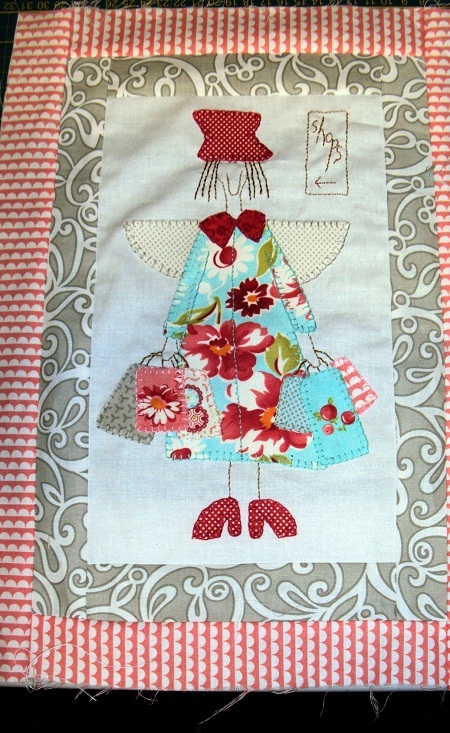 After my morning chores, Ive been busy with 'A Christmas Story'.I have cut out the rest of the applique for block A all ready to needleturn. The kids are calling for me to watch Scooby Doo with them. Should I tell them its my favourite cartoon show of all time!!! Heheehehehe.....Off to needleturn, enjoy your Saturday!! !